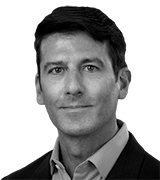 August 22, 2018, 3:30 p.m.
New data from YouGov BrandIndex provides more evidence for Vans’ rise. The brand’s recent collaboration with Amsterdam&apos;s Van Gogh Museum, which adorns a selection of shoes and apparel with various Vincent van Gogh paintings, corresponds with a notable jump in people talking about Vans. 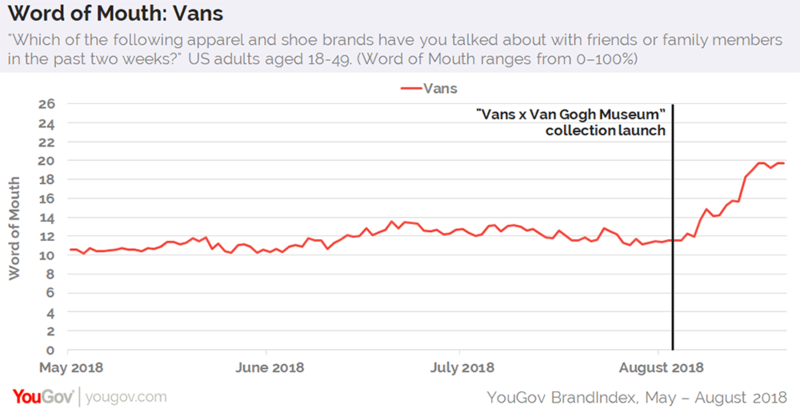 On August 3, the day the “Vans x Van Gogh Museum” collection launched, Vans’ Word of Mouth score hovered around 12% among US consumers aged 18-49 — meaning just over one in 10 had discussed Vans with friends or family members in the past two weeks. By August 16, however, the brand’s Word of Mouth score had climbed to 20%. Other YouGov metrics show similar improvements in public sentiment. Vans’ Impression score — which asks shoppers if they have an overall positive or negative impression of the brand — rose from 27 to 35 among US adults aged 18-49 during the same time period. Vans’ Quality score — which calculates if consumers think the brand represents good or poor quality — increased from 25 to 33. Indeed, figures from YouGov Profiles show why the collaboration seems like a good fit: 73% of current and former Vans customers hold a positive opinion of Vincent van Gogh, compared to 67% of the American public in general. 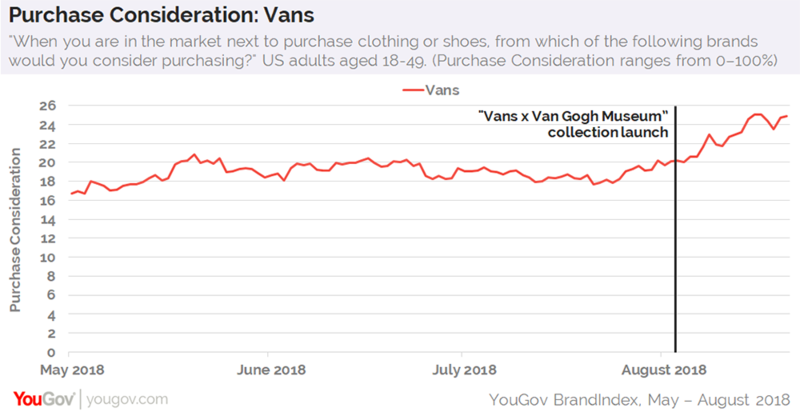 This affinity for the Dutch artist helps explain why YouGov’s metric for potential sales — Purchase Consideration — is also moving in a positive direction for Vans. Since August 3, the brand’s Purchase Consideration score has jumped from 20% of 18-49-year-olds saying they’re open to buying Vans when next in the market for clothing or shoes to 25% on August 14.